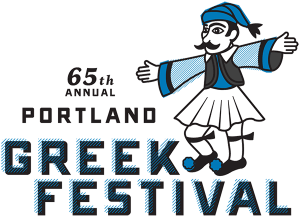 Ease your transition to real Autumn weather with beer, cheese, and Greek food this weekend. And if you have the gumption, ride your bike a bit around Sellwood and Milwaukie. 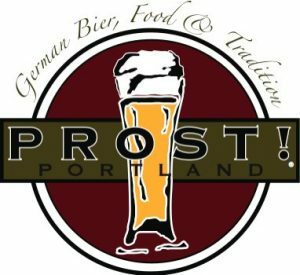 It’s the biggest party of the year at Prost! Everything kicks off on Friday Night with a ceremonial keg tapping at 7pm. We will also be selling a limited amount of our 2016 Oktoberfest Liter Steins. Saturday and Sunday we are taking the party outside. We will have the entire Marketplace, with extra biers available on tap outside, German BBQ on a charcoal grill, games, a face painter and more! One of the largest regional juggling festivals in the country, the festival provides a venue for jugglers from around the world to come together to share knowledge and hone skills in workshops and juggling sessions. The Juggling and Vaudeville Extravaganza highlights the festival on Saturday night. In past years it’s featured a family-friendly assortment of local and national juggling and variety acts in one live performance. The Portland Fresh Hops Fest is a celebration of the annual hop harvest that takes place from mid-August to mid-September in Oregon. This year’s 13th annual event will take place Sept. 30 and Oct. 1 at Oaks Amusement Park, 7805 SE Oaks Park Way. Hours are 5pm to 9pm on Friday and 12pm to 8pm on Saturday. The festival features more than 60 Oregon craft beers made with hops that are freshly picked off the vine and used within hours of harvesting. This year’s festival will feature more than 60 Oregon brewed fresh hop beers . . . Beers may run out; for the greatest selection, arrive on Friday or before 3pm on Saturday. The Wedge is a Farmers Market-style event, featuring cheese and foods/beverages that go well with it. Sample and purchase local, artisan cheese, specialty foods, beer, wine, and cider, take a class, snap a pic with our mascot, and try your hand at cheese wheel bowling! . . . This is a family and pet friendly event that is open to the public. Children and well-behaved dogs on leashes are welcome . 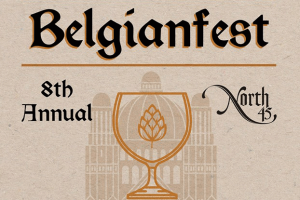 . .
Join North 45 for our 8th Annual Belgianfest! Taste the best in Belgian beers with our expansive collection of authentic Belgian beers and try some of the best domestic craft Belgian style ales in our one-day celebration of all things Belgian! This is the last event of the season, but we will end it with a bang! We are once again teaming up with the Salmon Celebration and the Bureau of Environmental Services (BES) for the second year in a row. For the first time ever, we will be going to Milwaukie. It’s going to be amazing! This new route will include Westmoreland, Sellwood, and Water Tower Parks plus the Milwaukie Farmers Market and the Milwaukie Business District. Stop by this event to share in some Sunday Parkways history in the making, and also enjoy the live music, delicious food, and fun that awaits you! Enjoy the bounty of Oregon while indulging in snacks, sweets, beer and music from the Pacific Northwest region! Learn about Oregon specialty crops from local farms, CSA’s, cooking demonstrations and artisan vendors. There’s fun for the whole family, including kids activities and live entertainment. Come celebrate the harvest season at OMSI! 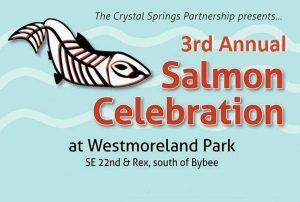 Join us in celebration of the restoration of Crystal Springs Creek and the return of salmon to the city on Sunday October, 2 from 11am to 4pm at Westmoreland Park. The program will include salmon and lamprey tasters, inter-tribal cultural activities, and wonderful storytelling. Booths will include hands-on science activities, wilderness skills, nature crafts, and games for children and adults alike. The event will be free and open to all.